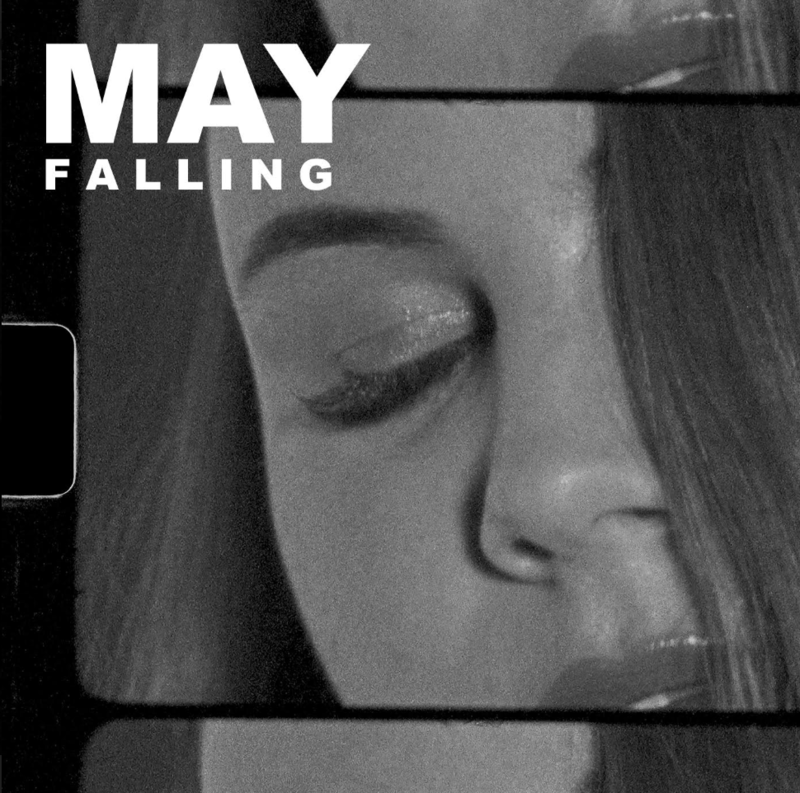 MAY makes her debut with ‘Falling’, stark, haunting and she possesses an incredible vocal ability to invest each note and turn it inside out and wring it of every emotional drop, with sparse backing if tumbling piano notes and very little else it lies eschewing the coffee table jazz of the early ’90s this cut lies somewhere between Alison Moyet and Anthony and the Johnsons, the outro fades with her pained falsetto its a majestic and heart-stopping moment of sharp reflection and catharsis of loss and a exquisite introduction to a new talent. Falling is ‘an emotional account of a love that’s never been replaced.’ The song is the first to be taken from her forthcoming debut E.P Phantom on which she collaborated with Tom Elmhirst (Amy Winehouse, Adele) and Patrick Wimberly (Chairlift, Solange, MGMT). “I woke up in the middle of the night and wrote it” explains MAY who’s heartbreaking vocal performance tells the story. “He was my first love, I was blinded by it. I’ve never been in love since and it’s the only song I have written that comes from this naive vulnerability”. Giant Party’s new single ‘Red Button’ takes ominous beats, funky percussion, playful Nile Rodgers-like jangles and sinister vocals, throwing them onto the dance floor for a new wave dance-off, with nods to LCD Soundsystem that and Duran Duran, with illusions to political mistrust and panic, they’re having a party at the end of the world, taken from their forthcoming EP which will be released in September. They tour the UK in October. which is set for release in September. Displaying another face to their a intoxicating alt-pop sound six-piece ALASKALASKA return with the yearning subtlety of ‘Monster’. Sewn with a enveloping atmosphere driven by clipped strums, subtle percussive shifts and Lucinda John-Duarte’s evocative vocals that offer vivid chunks in her self identity. Like the ace ‘Maneater’ it was recorded with Oli Barton-Wood – the producer and engineer behind recent releases from Nilüfer Yanya, HMLTD, and Sorry – with whom they, and fellow ascendant South London artist Mellah, now share studio space. Tunbridge Wells in Kent is the home of letters to the Editor of the Daily Telegraph but also to Dead Ceremony, a four-piece with a neat synth sound. ‘Heartache’ is also the title of their EP, which was released on July 27th. The lyrics refer to the acknowledgement that even after experiencing intense emotional suffering one can still emerge stronger and undiminished. In other words, getting over it. Recognising the accepted mantra du jour that you have about four seconds to get a listener’s attention on a streaming site, they manage to do that with an opening bass line that sounds like a tachycardic heartbeat. They’ve racked up over 300,000 Spotify plays so the proof is in the pounding. After that the song’s beat dives into a pretty accurate approximation of Arcade Fire’s first ever foray into dance music, the track ‘Sprawl II, (Mountains Beyond Mountains)’ from Grammy-winning album The Suburbs, and with even the same chord progression in parts. (DB). Newcomers Krush Puppies pull on the sleeve of ’90s acts like the Breeders or Throwing Muses with their delightful debut offering ‘Petalhead‘, mixing psych tinged, baseline threaded verses stirring in nonchalant vocals then breaking out the bar chords for emphasis. “‘Petalhead’ is for my twin sister”, Jenny explains. “She was feeling a long stretch of joylessness, as we both do sometimes – she lives in Mexico but I could feel her lack of spirit and wanted to send her a positive charm of some kind to connect us because I couldn’t be with her.” Exuding a laid back cool, and a naive optimism. It’s a very promising beginning from Krush Puppies.